The Safe Sedation Course is aimed at physicians, nurses, physician assistants, operating department practitioners, and other healthcare providers who require sedation specific training. Please note you must complete Part 1 (eLearning) before Part 2. 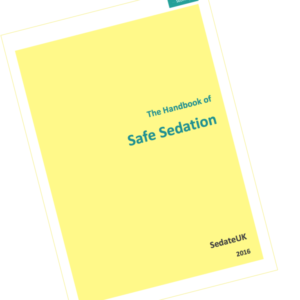 You must complete Safe Sedation Course – Part 1 (eLearning) before attending. The Safe Sedation Course is aimed at physicians, nurses, physician assistants, operating department practitioners, and other healthcare providers who require sedation specific training or skills beyond their respective core training and educational programs and experience. Candidates who successfully complete the course, will be able to safely sedate healthy ASA I and III patients for procedures lasting up to 60 minutes. They will also be eligible to attend the Safe Sedation Trainer course. Handbook – Covers all theory needed to understand anatomy, physiology, pharmacology, and complications of sedation. Skills Stations – Patient assessment and preparedness; Airway Management; Capnography; and Safe Sedation Protocol. Unique Concepts – SedateMe framework, Safe Sedation Protocols, Rule of 2s and Alertness in Sedated Patients score. Training – Lectures and Practice in simulated environment.